IOCL Recruitment 2019 - Job notification for Security Chief Post in IOCL, Howrah, West Bengal on Contract Basis. Applications are invited by Indian Oil Corporation Limited on or before 21 Feb 2019 for 1 vacancy. The incumbent should have retired from police services on or after 31.12.2016 from the state of West Bengal, in the rank of not less than Deputy Superintendent of Police. Preference shall be given to the candidates having a legal background, an experience of working in Intelligence and crime control (CID). On the basis of experience and qualification. Eligible candidates may send their application in prescribed format (attached below) to Chief Human Resource Manager, Indian Oil Corporation Limited (Pipelines Division), HMRB Pipelines, P.O. Duliya, Andul-Mouri, Mourigram, Dist: Howrah, PIN – 711 302 on or before 21 Feb 2019 through post-super-scribing on the envelope “APPLICATION FOR THE POST OF SECURITY CHIEF”. IOCL Recruitment 2019 - Job notification for Retired Police Officer Post in IOCL, Barauni, Bihar on Contract Basis. 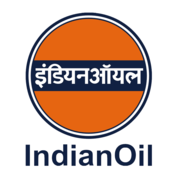 Applications are invited by Indian Oil Corporation Limited on or before 08 May 2019 for 1 vacancy. IOCL Recruitment 2019 - Apply Online for Law Officers Posts - CLAT 2019 in IOCL, New Delhi. Online Applications are invited by Indian Oil Corporation Limited from 12 Mar 2019 to 31 May 2019.